"catalogs/planets/solarsys.sc" does not exist for 0.9.7.4 anymore ... Any instructions on how to install your mods now? You should open the pak files, and this is in the catalogs.pak file. I've added the respective entries to the solarsys.sc contained within the catalogs.pak-file, yet the new textures are not displayed (I've deleted the cache-file and I've added the texture files to the respective folders). When you say "respective folders", are these you created ? I hate to say this but can you provide a mirror for your maps. because im using Firefox and I cant seem to download any file from mega. OK, I'll open an mediafire account soon. Could you do models for Sylvia's two moons, Remus and Romulus? Can I combine these with the files on the downloads page or does one replace the other? I get the same thing, also the Milky Way disappears when you get close to Ceres. That Pluto is correct. 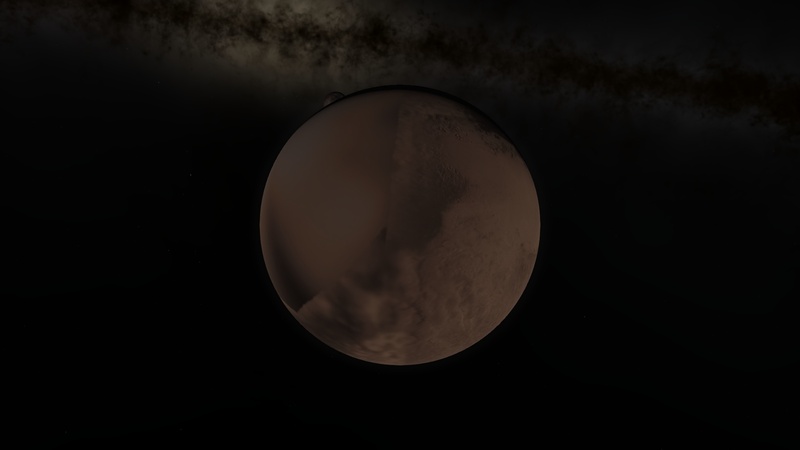 New horizons was only able to get about half the planet in high res. Some sections like the south pole weren't even mapped at all. Ok, I understand Pluto. But Ceres still has the problem of not working in the least!